Lock in a great price for Le Palace Art Hotel – rated 8.4 by recent guests! The staffs of the hotel are excellant. location can reach all attractions of the city. there is also a local called Ammon Tour,it is very good company,one can book through reception. worth of the money. Breadfast are very very rich. Great Location indeed! Features a great restaurant that offers the best Breakfast in town! Located close to the waterfront and to the restaurant "ladadika" district. The hotel has a prime location,close to the epicenter of the town and seaside promenade.We got a big twin room with big bathroom and nice beds and plenty of space. Breakfast was very good with plenty to choose from. Will certainly return there. The staff attitude and the place was perfect just in the center of the city. Good location just in the main street. Freindly staff and extra nice breakfast with good coffee. Hotel offered parking solution for the car. Central location, near to all city centre areas, great breakfast and quiet room at the rear of the hotel. Brilliant location, staff are very helpful and a good buffet breakfast provided. Friendly front desk stuff and excellent Breakfast selection. Location was very good and accessible to most popular city attractions. The hotel is located close to most of the sightseeing locations. There a lot of great restaurants in the area. The room was nice and clean. The breakfast was exceptionaly rich and diverse. Friendly and helpful staff. I definitely recommend it. Le Palace Art Hotel This rating is a reflection of how the property compares to the industry standard when it comes to price, facilities and services available. It's based on a self-evaluation by the property. Use this rating to help choose your stay! 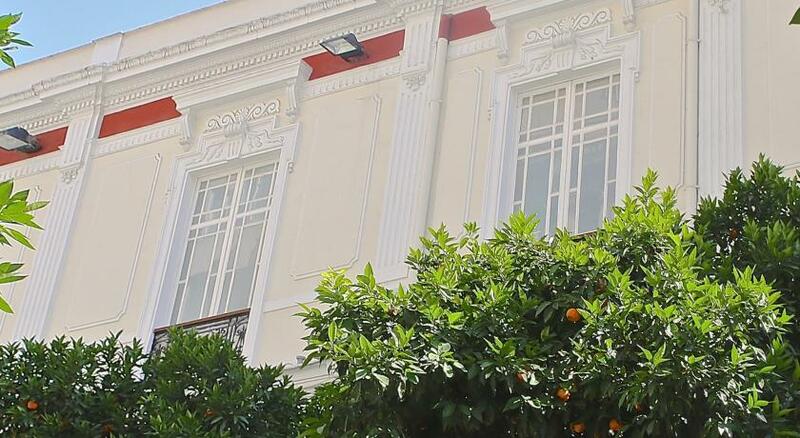 Centrally on Tsimiski Street, Le Palace Hotel is within walking distance of Aristotelous Square. It has spacious rooms with free Wi-Fi, and easy access to the train station and the port. A bar and business lounge are featured. Opening to a balcony, all accommodations types include air conditioning, a TV and minibar. They also have Coco-Mat pillows and 4-layer mattresses, and a private bathroom with a hairdryer and free toiletries. 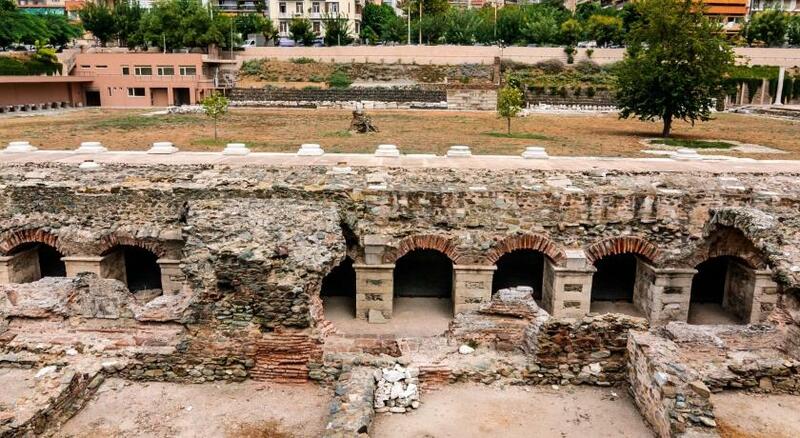 Some rooms at Le Palace Hotel overlook Thessaloniki’s main streets. A Greek breakfast, including freshly baked bread and various traditional savory pies, is served each morning in the stylish dining room. Lunch and dinner can also be served upon request. Just 15 minutes from Helexpo Exhibition Centre, Le Palace is close to business and tourist areas. 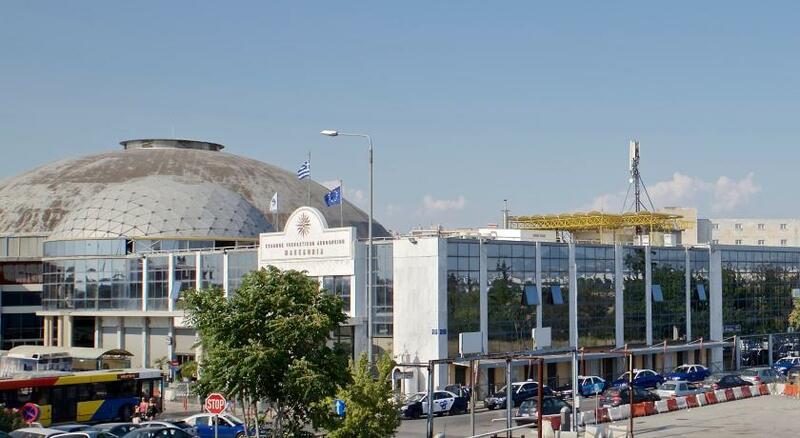 A bus to Thessaloniki International Airport stops just 350 feet from the hotel. Private parking at a location nearby is provided for a fee. When would you like to stay at Le Palace Art Hotel? This spacious single room features a single or double Cocomat bed. It cannot accommodate a baby cot or an extra bed. A flat-screen TV is also available. Please note that some rooms open to a balcony. This spacious double room features Coco-Mat beds and a flat-screen TV. Some also have a seating area. This spacious executive room features Coco-Mat beds, a flat-screen TV and a seating area. This spacious triple room features Coco-Mat beds and a flat-screen TV. A seating area is also available in some units. It can accommodate a baby cot or an additional bed (see Hotel Policies). Spacious, elegantly decorated room with Coco-Mat beds, a flat-screen TV and a seating area. A pillow menu is also available. Please note that a list of children facilities such as Coco-Mat pillow for children, children's high chair, children's toilet seat, toys and a children's menu may be provided upon request. Le Palace art hotel, located in Tsimiski Street, just a breath away from the historical Aristotle square, gives to its customers the privilege to wander on foot among the main points of interest of the city. The staff of Le Palace art hotel, promises you an unforgettable experience of relaxation in one of the 53 spacious, high ceilinged rooms (12 of them are executive rooms). What is more, the ecological sleep layers of the famous Coco Mat industry (four levelled layers and six different kinds of pillows), guarantees you the utmost sleeping experience in our hotel. Our certified traditional Greek breakfast excels for the quality of its products, with which our chef Antonis Theodorakis and his team prepare the fresh cooked traditional dishes. Free wi-fi access is provided in all hotel areas. Two sheltered parking areas very close to our hotel are offered to our guests, in a very low price. We provide very spacious rooms for families, enriched with a special list of benefits for our little guests. Our hotel has also been entered in the “Green leader” by the world famous tourism operator reviewer “Trip Advisor”, and, with the silver level nomination, awarding our green policy. House Rules Le Palace Art Hotel takes special requests – add in the next step! Le Palace Art Hotel accepts these cards and reserves the right to temporarily hold an amount prior to arrival. This property participates in the Greek Breakfast Iniative by the Hellenic Chamber of Hotels. Please note that gluten-free breakfast can be served upon request. I had no problems at all. 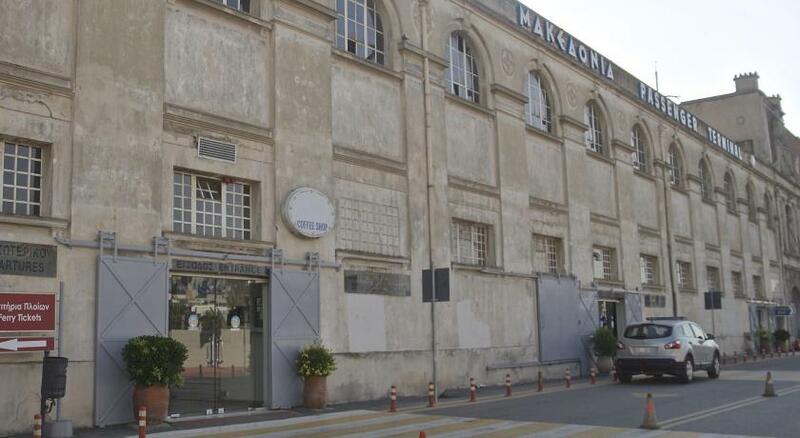 Located at the centre of Thessaloniki at the busy Tsimiski street, this hotel is appropriate for those who want to meet the city. It has plenty of things to do in the nearby area, lots of shops, sights, places to eat, drink, see. The room was big and comfortable. The breakfast was superb. The personnel is always available. This was my second stay and it was nothing short of fantastic. The staff, Nikos, Maria, Rita, Dimitra and everyone else were so friendly and caring! Thank you so much! Your Argentinian friend. Not much noise isolation - but not a major issue. The location was great! Very friendly staff, excellent value for money. Near to all main attractions. The reception is small and don't have anywhere to sit while you wait. Wifi in the room was not very good. Friendly staff available and happy to help. The bed was very comfortable and the room was clean. Great location . Location is great, right in the center. Bathroom needs renovation and be cleaned better. Internet wasn't stable enough. Breakfast and location - perfect! Reception - kind and helpful. Superb location, superb breakfast, very friendly staff, clean room, all recommendation for this hotel. The room was big and comfort. The hotel was at a great position. The stuff was very friendly and the breakfast was excellent. Perfect. See all there next Year. I had some difficulties to properly set the heater. Either too hot, or too cold for my taste. Excellent breakfast! Room service is cheap and good. It is available at (almost) any time and it can easily replace a meal. The location is excellent, a lot of interesting objectives can be reached by foot. The staff is always available and happy to help. Needs some love in the interior of rooms.